Four were killed and three critically injured following a shooting that took place in Samitpura, Mattakkuliya last evening. Police sources said the three who sustained serious injuries were admitted to the Colombo National Hospital. Police further said that the shooting took place around 7.30 p.m.
Sources also said that the shooting was the result of a clash between two rival groupsinvolved in heroin smuggling. Accordingly, a team led by a person called Kudu Roshan, is alleged to have been involved in the shooting. The shooting occurred at Kudu Roshan’s house, situated in the Mattakkuliya housing scheme. The team responsible for the shooting had fled the area. It has been identified that an underworld kingpin called Chooti Ukkuwa and his fellow gang members had died in the shooting. It has also been revealed that the other gang involved in the shooting had come to the venue in a vehicle which resulted in the shooting. 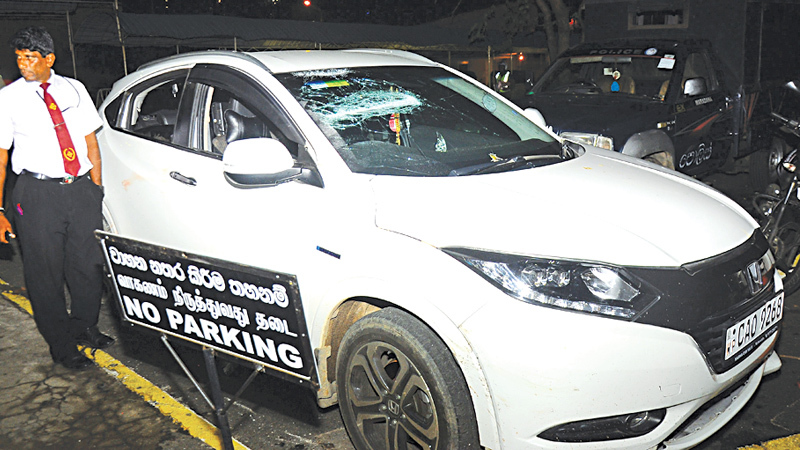 Four bullet casings from a T56 weapon and two bullet casings from a 9 mm Browning pistol were recovered by the Police at the scene of the shooting.Besides, a motor vehicle has also been taken into custody from the Colombo National Hospital by the police. Police believe that the suspects had come to Mattakkuliya in this motor vehicle. However, the place where the incident occurred is around 200 metres away from the Mattakkuliya Police station. Meanwhile the National Hospital sources said the condition of the injured is critical. The remains of the deceased are kept at the ColomboNational Hospital pending an autopsy. Police officers of the Colombo Crime Division are conducting investigations into the incident. The shoot out according to sources had occurred at a location frequented by those involve in the drugs trade in the Mattakuliya area.